Disclosure: I participated in an Influencer Activation on behalf of Influence Central for WaterWipes. I received product samples to facilitate my review as well as a promotional item to thank me for my participation. While my mom was big on little tissue packs, I have opted for baby wipes, as they can be used for practically everything. From diaper changes to cleaning sticky fingers or faces after a Popsicle at the park or dinner at a restaurant, to even removing your makeup or cleaning your windshield or car windows after the kids have left their doodles. 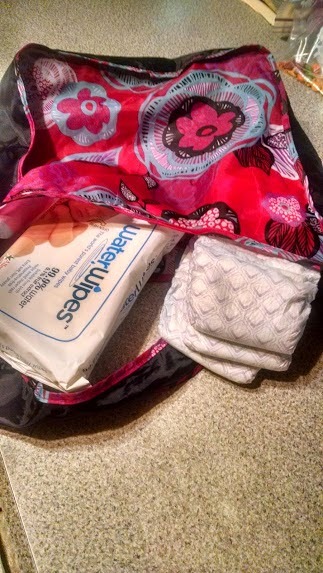 And, when it comes to baby wipes, I have found my go-to brand, which I make a point to stock up on, so that I have some for at home use, as well as in my bag, in the car and even at the grandparents house. For me, WaterWipes is it! Known as the world's purest baby wipes, WaterWipes are made up of just two ingredients -- 99.9% pure Irish water and 0.1% grapefruit seed extract. And, because they are baby wipes and being used by parents, day care center, grandparents, etc., they are suitable for children ages birth through the diaper years. 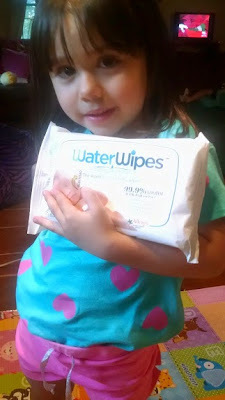 "Unlike many other wipe brands, WaterWipes are not interfolded. This allows for the sterile environment within the package to be maintained. For the same reason, we recommend that you do not relocate the wipes in an alternate container." Because these wipes are made up of mostly water, they are great at helping to avoid diaper rashes, thanks to their being preservative-free. A major difference between these baby wipes and others on the market is that these are super soft and non greasy. Did you know that an unopened bag of WaterWipes can last up to 15 months (Once opened WaterWipes should be used within 1 month)? I can't tell you how many packs of baby wipes I was given at Savannah's baby shower that I had to toss, as they were dried out before I even got a chance to use them. Another great thing about these wipes in addition to not being greasy is that you will not find your hands getting soaking wet with dripping baby wipes. Yes, they are made with 99.9% and retain their moisture, but you will not have to reach for a rag to dry off your baby's delicate skin due to the excess liquid you may find with other baby wipes you use, thanks to these amazing chemical free baby wipes. Both of my girls have sensitive skin, and my youngest, Bella, has eczema. So, I have to be extra careful what I use with them. I can't tell you how many times I bought wipes that claimed to be "sensitive," only to find that they came with a fragrance, or irritated my girls' delicate skin due to chemicals or other harsh ingredients contained in the wipes. As a parent, it is so hard to watch your little in pain due to a diaper rash or skin irritation that is only made worse due to things like baby wipes. But, through trial and error and finally stumbling upon WaterWipes last year, I can breath easier each and every time I reach for one of these baby wipes to wipe their bottoms, or even their faces, as I know this product will not irritate their skin. Even though my girls are both potty trained, I still make a point to use these wipes at bedtime to make sure they are wiping probably and to clean their private area, as to prevent infection or a rash from improper wiping. And, on those occasions when they have an accident at night time, I reach for a package of WaterWipes, which I have in each of the bathrooms, to clean them up, before changing their pajamas and putting them back to bed. And, like I said above, these baby wipes have multiple uses, which makes having them handy both at home and on the go, a necessity for me, as I find myself reaching for them throughout the day. Just this weekend, I ran out of all-purpose cleaning wipes and ended up using a package of WaterWipes to clean my counter tops, grease off the stove top, and even wiped down the bathroom mirrors and sinks with them. Now, how is that for multi-use. :-) And, when it came time to get the girls ready for bed, I reached for my WaterWipes to clean them. I couldn't help but laugh over the weekend, as we were out at a festival and the girls tried a freeze pop for the first time. While most fell on the ground or their clothes, they did manage to catch a few with their hands. By the time they were done, their faces and hands were sticky. Savannah was quick to ask for a WaterWipe, so that she and Bella could clean themselves up. She directed me to look into my BIG bag, as she knew I always kept a pack or two. 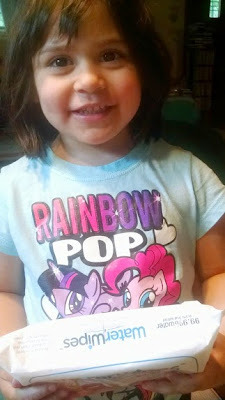 When the girls were done cleaning up, Savannah turned to Bella and said that when she grows up, she will be sure to have WaterWipes on hands for messy spills, sticky fingers and cleaning the car window -- just like mom! So, I guess it isn't bad to want to be like mom, and carry a BIG bag. You never know when you will need to change a diaper, lend baby wipes to a mom with a baby who has run out of wipes, or tackle a freeze pop mess. And, for me, all these mommy moments are made a breeze thanks to my trusty pack of WaterWipes. Do you have a little one who has sensitive skin, or are not happy with your current baby wipes? If so, you will definitely want to check out WaterWipes, which you can find at many popular chain stores, including Babies 'R Us, as well as through online retailers. If you find yourself having trouble locating WaterWipes at your favorite local retailer, visit the WaterWipes website and use their store locator to find retailers in your area that carry these chemical-free baby wipes. As a new mom or mom to a little one with delicate skin, you will love knowing that WaterWipes baby wipes are both durable and effective. But, the real peace of mind is knowing that these baby wipes contain no harmful chemicals (free of preservatives), that are found in other baby wipes. You, too, will find yourself raving about and recommending WaterWipes as a safer, natural option for parents with little ones. They will also become in a staple in baby shower gifts you give, or on your baby registry. 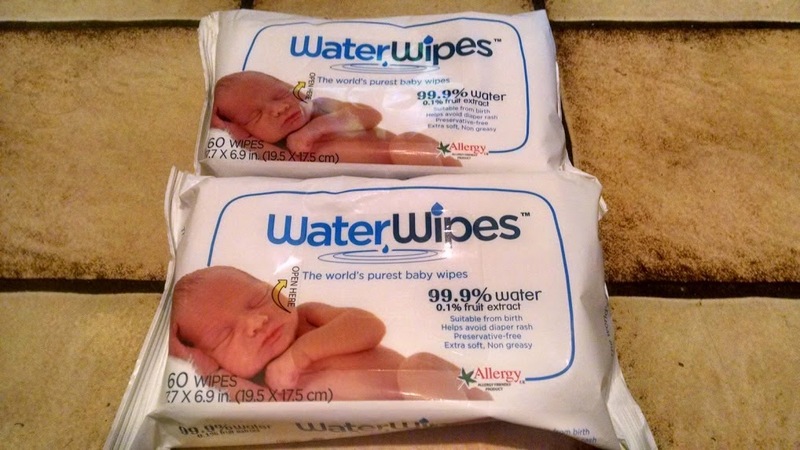 WaterWipes is making its in-store debut at everyone's favorite baby store -- Babies "R" Us. And, to celebrate this debut, top Babies "R" Us stores across the country are offering an amazing WaterWipes promotion. 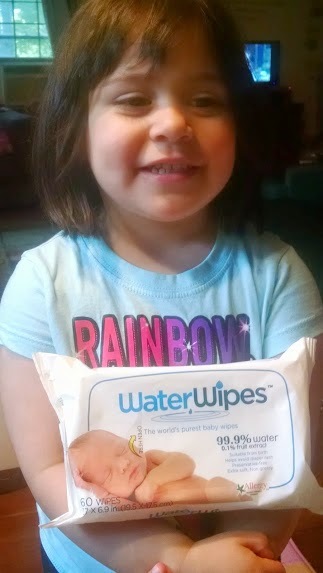 From now through July, you can buy 2 packs of WaterWipes for only $6. These baby wipes usually retail for $3.99 per pack.